Liturgists from all over the country ended the National Meeting of Diocesan Directors of Liturgy (NMDDL) organized by the Episcopal Commission on Liturgy (ECL) of the Catholic Bishops’ Conference of the Philippines, on September 16 with a six-point statement on what they look forward to and want to be done in the Church’s worship rites and meanings. This silver jubilee meeting held at the Pius XII Catholic Center from September 13-16, 2010, was hosted by the Archdiocese of Manila. Its theme was “The Veneration of Saints.”. The NMDDL is an organization established in 1985 by the Catholic Bishops’ Conference of the Philippines’ Episcopal Commission on Liturgy (ECL). It aims to gather once a year all the directors of the diocesan liturgical commissions in the Philippines in order to update them on liturgical questions, create closer ties among them, and promote a greater coordination between the ECL and the diocesan liturgical commissions. As part of its silver jubilee the NMDDL conferred the Sacrosanctum Conciliumwards on six people as a recognition of the outstanding contribution they have made to the promotion of the Church’s teachings on liturgy. The awardees were the late Bishop William Brasseur, CICM, Fr. Camilo Marivoet, CICM, Fr. Hermann Gräf, SVD, Fr. Jamess Meehan, S.J., Ozamis Archbishop Jesus Dosado, and Capiz Arcbhsihop Onesimo Gordoncillo. Following is the statement of the 25th NMDDL. We, the delegates to the 25th National Meeting of Diocesan Directors of Liturgy (NMDDL), raise our hearts and voices in thanksgiving to Jesus Christ, the Leitourgos of divine worship. For twenty-five years, NMDDL has been a consistent instrument of the continuing liturgical formation of diocesan directors of liturgy. It has created closer ties among the directors and has promoted better coordination between the Episcopal Commission on Liturgy and the diocesan commissions in the implementation of the liturgical reform of Vatican II. 1.The Use of the Vernacular. While we respect the option to use Latin and celebrate the Tridentine liturgy, we uphold the use of the vernacular in our parishes and communities and recommend translations that faithfully reflect both the spiritual doctrine of the texts and the linguistic patterns of our vernacular languages. 2.Spirituality of Liturgy. Active participation is one of the many blessings Vatican II has bestowed on our parishes and communities. We wish to remind ourselves, however, that active participation should lead to deeper spiritual encounter with Christ and the Church. Hence our liturgical celebrations should foster the necessary environment of prayer and awe in the presence of the divine mysteries, excluding those expressions that trivialize the sacred celebration. 3.Liturgical Inculturation. The interest in recent times to revive the Tridentine Liturgy should not draw the attention, especially of the Church leaders, from the unfinished agenda of liturgical inculturation. We are of the persuasion that liturgical renewal, as envisioned by the Constitution on Liturgy of Vatican II, entails liturgical inculturation and that our rich cultural heritage has much to offer to make the Roman liturgy truly Filipino. 4.Liturgical Studies. Sound tradition and legitimate progress are key phrases that express the program of liturgical reform. It is consequently necessary to study the history and theology of the liturgy, be familiar with culture, and be imbued with liturgical spirituality and pastoral zeal for the Church. We, therefore, recommend that those involved in liturgy, particularly the clergy, should be sent by their bishops or superiors to enroll in academic institutions that specialize in liturgical studies. 5.Lay Ministers. Our parishes and communities are blessed with numerous and worthy lay liturgical ministers. However, some dioceses in the Philippines still reserve to male persons ministries like serving at the altar and leading Sunday celebrations in the absence of a priest. We believe that we should encourage the ministry of women where it is allowed by universal law. 6.Liturgy Newsletter. Part of continuing liturgical formation of diocesan directors and their collaborators is liturgical information. 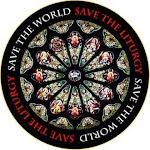 We request the Episcopal Commission on Liturgy to publish and disseminate regularly through newsletter, in print or by electronic media, recent liturgical norms, guidelines, and other pertinent information on the liturgy. As we celebrate the 25th anniversary of NMDDL, we recall the visionary initiative of Archbishop Jesus Dosado who, together with Fr. Camilo Marivoet, CICM, and Fr. James Meehan, SJ, established and promoted the annual meeting. We are in their debt. Likewise, we remember with gratitude the dioceses that have generously hosted NMDDL and the speakers that shared their liturgical expertise with us. Lastly, we thank His Eminence Gaudencio B. Cardinal Rosales of the Archdiocese of Manila for hosting NMDDL at this significant year of its existence. A dynamic SSPX leadership will inadvertently but invariably help boost the Traditional Latin Mass. The SSPX superior for the Philippines resides in Singapore and he also oversees many other centers. "Overflies" would be a better word as he is forever in an aircraft rather than on ground tackling relevant issues. You must be aware of the slackening of pace at Our Lady of Victories (SSPX), Quezon City. He has totally stymied the Traditionalist movement here. Dennis ,this is interesting.Hopefully we could meet and see each other.